BUFFALO – Phil Housley’s wife, Karin, is probably the coach’s biggest fan. Just check her Twitter account, which is filled with support for her husband and the Sabres. But today, election day, is “her day,” Phil Housley said. Karin Housley is running as the Republican nominee in the Minnesota Senate race. 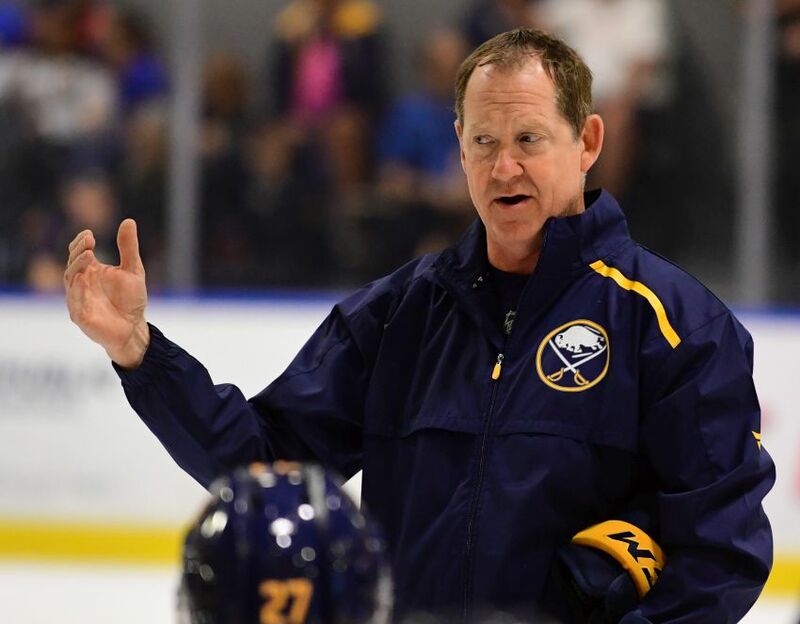 “She’s fought the good fight,” Phil Housley said this afternoon inside KeyBank Center. “She’s ran a really good, strong campaign. She’s worked tremendously hard and the results will be the results. She’s got to be proud of the work that she put in. While Housley plans to be at his wife’s side back home, he directed practice this morning inside HarborCenter. Check back later for a story on the Sabres’ recent success generating shots on goal and why they’ve been able to stick to their game plan even when they face adversity. I wonder if she’ll have second thought about comparing Michelle Obama to Bonzo the chimp. Maybe that subtle and deniable bit of racism did her in. Just wondering.